This book review was published by Slashdot, 2008-04-30 . It was featured on the Slashdot home page for more than six months. For creating websites, developers are increasingly making use of content management systems (CMSs), any of which can provide the framework for a new site. But just as there are many similarities among all the leading CMSs, there are some significant differences, such as how easy they are to install, administer, and build upon, for creating new sites. If developer loyalty is any measure of the present and future success of a CMS, then Drupal should be considered a standout among other CMSs. For instance, its online documentation alone is often cited as a distinguishing advantage. But most developers would prefer learning Drupal from a book, such as Building Powerful and Robust Websites with Drupal 6 , by David Mercer. This particular book was published on 4 April 2008, under the ISBN 978-1847192974. It is one of the latest titles from Packt Publishing, a relatively new technical publishing firm that is nonetheless gaining a reputation for its support of the open source software movement, including open source CMSs such as Drupal and Joomla. The firm's "about us" page notes that, with the purchase of every book that covers an open source technology, they pay a royalty to that open source project. A recent article on the Drupal website states that the company has raised more than $100,000 through these open source royalties. In his book's "About the Author" section, David Mercer mentions that this title is a follow-up to a first edition of the book, even though the publication information that follows the title page, mentions nothing about this being a second edition. Most likely he is referring to his 2006 book titled Drupal: Creating Blogs, Forums, Portals, and Community Websites, which covered Drupal version 4.7. The publisher makes available a Web page devoted to the book, where readers can download the sample code, submit feedback, post a question about the book, read an online excerpt, and obtain a sample chapter, on "Advanced Content", as a PDF file. Readers can also purchase the electronic version of the book, which contains everything found in the print version. For any programmer who plans on developing Drupal sites on a laptop, while away from their home or office technical library, the e-book version could prove especially valuable and convenient. 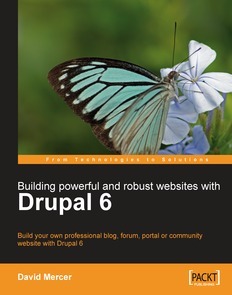 Building Powerful and Robust Websites with Drupal 6 aims to cover all the major aspects of using Drupal, and is targeted at Drupal beginners, though the author does state in the preface that the book's broad coverage may be helpful to intermediate users. The information spans 380 pages, and is organized into 10 chapters and one appendix, covering: an introduction to Drupal, installation, modules and blocks, site configuration, user access control, creating content, advanced content, themes, advanced features, site management, and site deployment. The first chapter serves as an introduction to Drupal, and explains the purpose of CMSs, the advantages of Drupal and other open source software, a brief history of Drupal, what Drupal offers to the site developer, and the many types of sites that can be built. The author discusses the reasons for keeping an unfinished site unavailable to visitors, the purpose of a placeholder page, and the importance of planning the intended site ahead of time. Especially useful to the beginner is the second half of the chapter, which discusses the support information available on the Drupal website, such as the well-regarded Handbook in the forums. The chapter concludes with a summary that, like all the others in the book, adds no value and could be cut, to make the book more concise. Newcomers to programming in general, and Drupal in particular, may find this chapter to be quite worthwhile; but experienced Drupal developers can skip it. To the uninitiated, installing a substantial piece of software and getting it running, is usually the first hurdle, and sometimes the most difficult. Chapter 2 explains how to obtain and install Apache, PHP, and MySQL — in the form of Apache2Triad. This is preceded by a brief overview of the underlying needed technologies, which would be helpful to someone unfamiliar with them. However, the diagram on page 33 could certainly use better labeling of the inner components. Also, on page 47, the reader is instructed to look for the file php.ini in "C:\windows"; that may be the case for users of Apache2Triad, but for everyone else, the PHP configuration file is by default located in the PHP root directory. Nevertheless, the chapter explains not only the (relatively few) steps involved in installing Drupal on a Windows server, but also explains how to troubleshoot some of the more common problems that can be encountered. It concludes with an overview of the administration area, and how to create a simple home page. The author provides the URL that a reader can use in case they accidentally disable user login (including admin login); but the URL (.../user/login) would only work if the reader succeeded in enabling clean URLs. The critical topics of modules, blocks, menus, and links, are discussed in the third chapter, titled "Basic Functionality". 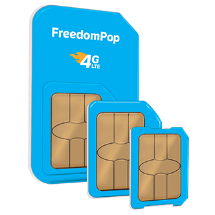 It covers how to enable and configure modules, and how to find and install third-party modules. Three commonly used modules — Forum, Comments, and Search — are examined in detail, as is a third-party module that implements DHTML menus. They are put to use in constructing the sample website used throughout the book for illustrative purposes. The chapter's material is comprehensible, but the discussion of primary and secondary links, at the end, could certainly use clarification. Chapter 4 is straightforward, and covers the fundamentals of site configuration. The author discusses clean URLs, error reporting, file uploading, system event logging and reports, high-level site information, and site maintenance. The subsequent chapter addresses the powerful functionality within Drupal for allowing site administrators to control user access to content — utilizing roles, permissions, users, registration, and access rules. It is a valuable discussion, marred only by a subpar illustration at the beginning (on page 117), and, at the end, the absence of a clear explanation as to the application of host type access rules. All of the aforementioned topics would be of little value in a site that had no content, and in Chapters 6 and 7, David Mercer discusses simple and advanced content, respectively. The former chapter covers the various types of content, how to work with them, and how to administer content — with particular emphasis on two of the modules that are most applicable to content: Aggregator and Book. The illustration on page 152 does not include the "language" filter criterion mentioned on the next page. The biggest improvement that could be made to this chapter, would be for the author to more frequently specify how in the Drupal menu system the reader can go to the administrative section under discussion — similar to site breadcrumbs. Currently, the reader has to skip back, sometimes several pages, just to discover the steps needed to go to the specific Drupal section. In the subsequent chapter, the author explores taxonomy, the Content Construction Kit (CCK), and handling content posting using HTML and PHP. But the illustration on page 216 is missing the URL filter; the multi-page summary of HTML should be replaced with a few references to quality online HTML guides; the initial HTML code on page 227 is missing from the screenshot; and the image file path on page 228 should not have the localhost hardcoded. Overall, the book accomplishes most of which it sets out to achieve. It provides a generous amount of information about Drupal, and discusses the material at an even pace that should not overwhelm even the most inexperienced programmer. Also, the book is packed with screenshots and other illustrations, so the reader can see the pages where they would make changes, and also see the effects. Nonetheless, readers will get even more out of it if they follow along and make the changes in a sample Drupal installation. Despite the book's merits, it still has some areas of weakness. They include, as alluded to earlier, the index, which is missing some key topics, such as views and clean URLs, to mention only two. In various places throughout the book, the writing could be markedly improved. Many of the sentences are awkwardly constructed, and consequently more difficult to understand at first glance. This is especially true in the first chapter, which has more high-level description and less technical detail. In addition, many of the sentences are run on, exacerbated by a lack of commas, which would alert the reader when to pause within the sentences. Dashes are frequently used where semicolons are called for. In some instances, new terms are incorrectly put in title case (e.g. on page 8). The terms "which" and "that" are sometimes interchanged incorrectly, as are "that" instead of "who" (e.g., page 126). In general, the book is too wordy — on a large scale (chapter summaries, and entire paragraphs, that could be excised), and on a small scale (unneeded phrases here and there, such as "hopefully like contributing meaningfully" on page 34). The discussions, while friendly, could certainly use some tightening up and correction. Readers can do without the imagined musings of a Web server and a Google bot. In the aforesaid article on the Drupal site, the author notes, "...I have cut out quite a bit of the old text and trimmed that which remained..." Further cutting and trimming needs to be done. Some of the phrasing in the book is a bit awkward; for instance: "sell it on as" (page 28), "Meg" (for MB; page 35), "before last again" (page 84), and "remit" (presumably to mean boundaries; pages 116 and 117). There are some inconsistencies, such as on page 4, where, in the same CSS rule, we see both "#FF0000" and "#aaa". There are countless compound adjectives lacking hyphens (too many to catalog here). Finally, there are too many exclamation marks that serve no purpose. This is the first book I have ever seen — and I hope the last — for which the title is never written in title case, but instead in sentence case. This may be of no consequence on the book's title page, where the nature of the title is obvious. But it becomes quite misleading when incorporated into a regular sentence, such as in the second paragraph on page 2, which causes the reader to initially conclude that the author is talking about the process of "Building powerful and robust websites..." Only later does it become clear that the author is not discussing any such building process, but rather the book itself. Yet aside from these blemishes, the book does an excellent job of covering all the important topics that would be of interest to beginning and intermediate Drupal programmers. The author clearly has a genuine passion for Drupal, and frequently encourages readers to contribute to the Drupal community and its growing body of knowledge. Building Powerful and Robust Websites with Drupal 6 is a comprehensive, approachable, and valuable guide to making the most of Drupal — easily recommendable. I liked your website's structure — simple, clean and easily navigable.